#Nickel intermediates could provide the most cost-effective means of bringing on-stream additional class one nickel units to serve the growing battery market – #Vale. 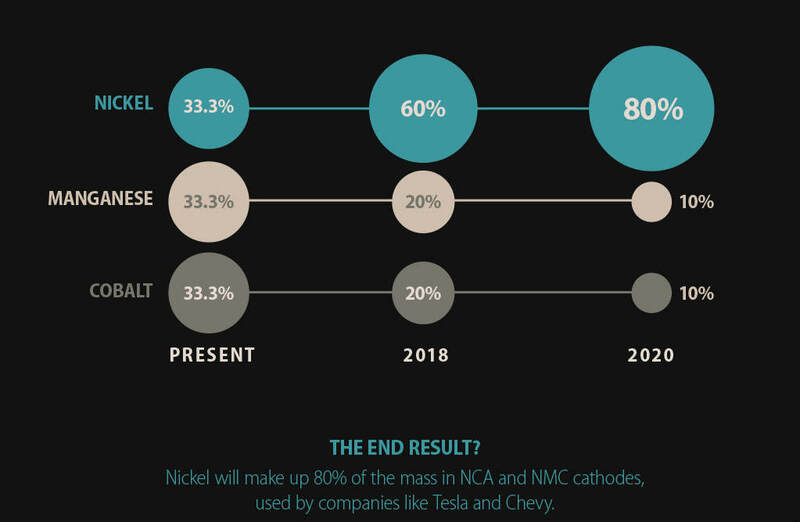 Nickel demand from the battery sector could increase to 1.8 million tonnes by 2030 from 700,000 tonnes by 2025, according to Vale’s upside forecast. Its more conservative forecast suggests demand of 350,000 tonnes in 2025 and of 1 million tonnes by 2030. “There is no better chemistry available than lithium-ion and it favors nickel in a big way; the more nickel the better, the greater the energy density,”. “And the more nickel you add, the cheaper it becomes – your battery cost comes down significantly,”.